Oki. Hello. 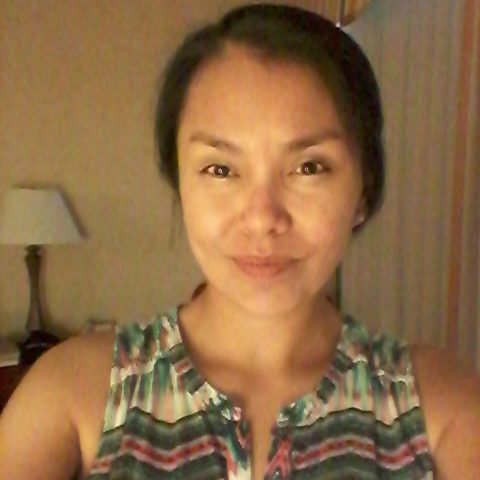 My name is Jessie Blackwater, Otskoisapisstakii (Blue Owl Woman), and I am from the Blood Tribe (Kainai), which is a part of the Blackfoot Confederacy. I also have four crazy lovable children who constantly keep me grounded and motivated. I have recently graduated from the University of Lethbridge with my B.A. in Native American Studies. While I was in my last semester, I had taken a course called Indigenous Language Endangerment and Revitalization and it was through this course that I had met Inge Genee, as she had been the professor teaching this course at the time. She had also been the one who had introduced me to this project: the Blackfoot digital dictionary. I have been very fortunate to have the opportunity to work on the Blackfoot digital dictionary. This project has reconnected me more to our language and has also inspired me to continue my journey with working with the Blackfoot language. Growing up, I had been very fortunate to be raised with our language, as both my parents and grandparents were fluent speakers who taught me our language and culture. Ultimately, it is through their teachings that they had gifted me with the ability to speak and understand our Blackfoot language. With this gift, I am hoping to help with the revitalization process of the Blackfoot language. I like to see myself as an advocate for our language and hopefully I will be able to find new ways to help teach our language and to keep it alive. The whole experience of working on this project has been a learning experience that I will forever cherish. Through this project I was able to work with my mother, Kim Blackwater, to go over and record phrases. Although it had been my job, I took each session with her as an opportunity to learn more about Blackfoot, especially with the pronunciation of words and phrases. I would like to thank everyone who has helped and is helping with this project. Despite its challenges, the rewards will definitely be beneficial in the future. I hope that everyone who visits the site will enjoy it and that they will use it to help themselves learn more Blackfoot. Kyatamatsin. Gyun.